Well it looks like it’s going to be my 100 post. 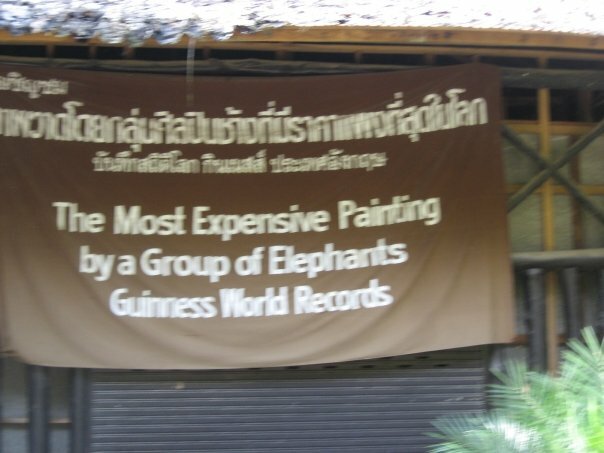 special number, special place: Chiang Mai. 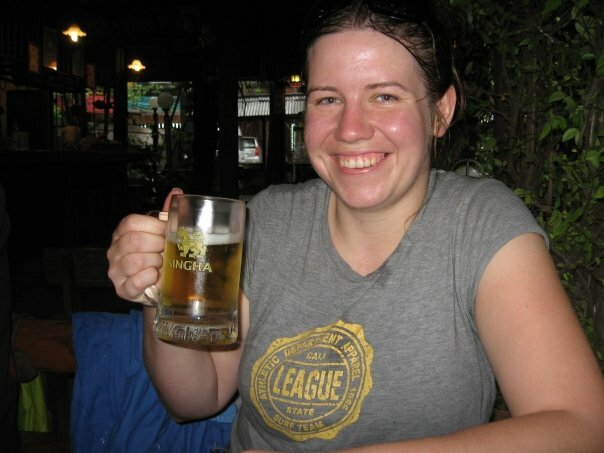 I think I liked Chiang Mai the most from the places visited in Thailand. No beach which for some people disqualifies it straight away. Not for me. 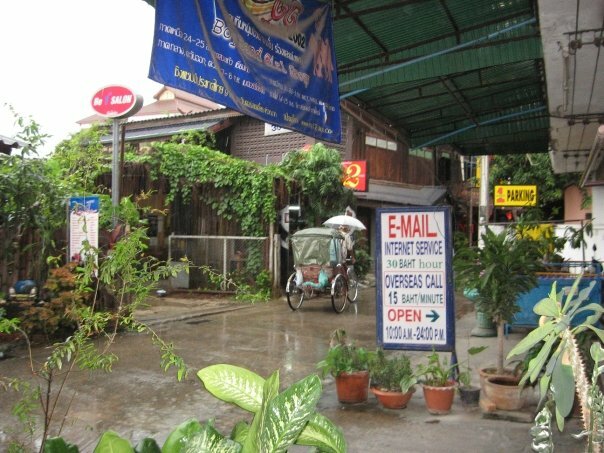 We flew from Bangkok and on arrival were welcomed by rain. Naturally we didn’t have place to stay so asked our tuk-tuk driver to recommend us a cheap place to stay. I can’t remember the place too well, I know we moved on the next day to a different accommodation in the same street which business card I have in front of me. VIPA HOUSE Mrs. Rabiab Pantkul, 14 – 14/1 Loikroh Lane 1 Rd, T.Changklan, A. Muang, Chiangmai 50100. I’ll be honest with you I don’t even know where to start to give the true account of the city and our adventures. Each one of us ordered something else so we could try more dishes and see which one we liked. 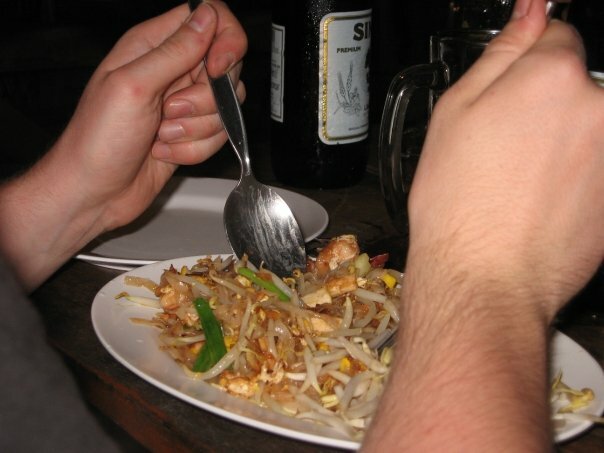 I think we didn’t have any proper Thai meal before because all we ate was street food. God, Thai food especially in Thailand is the best in the World. 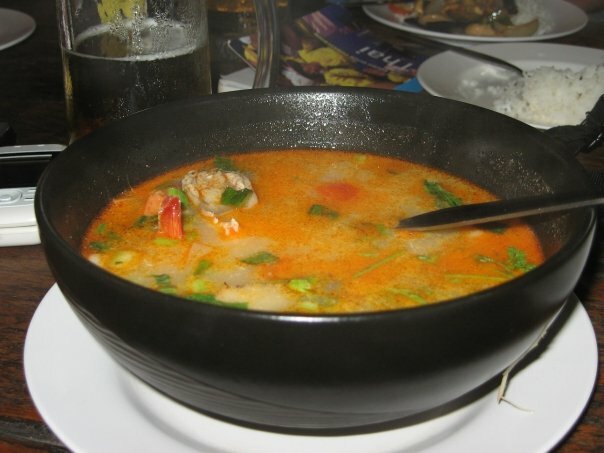 Spicy and not spicy, rice, sea food, soups, noodles… I’m getting hungry while thinking of it. When I lived in London we used to have a very nice Thai restaurant just around the corner oh I wish I could afford to go there more often than I did. Anyway back to Chiang Mai. First night we found our favourite spot to hang out: top roof reggae bar. 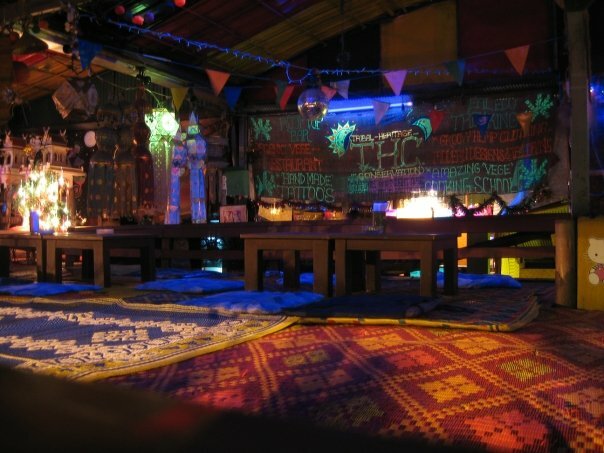 I wasn’t a big fan of reggae but this place was simply awsome. It’s called THC Rooftop Bar, 19/4-5 Kotchasarn Road | On the 3rd Floor, Chiang Mai. One of us of course did not want to go… no names… but now he is the biggest fan of the place! Give it a try when you are around! You sit on the bamboo mats (and some carpets) next to low tables and you can see the city from the top of a roof. Amazing. Everything is colorful and even fluorescent. Quite out of space. The funniest is the toilet. Oh did I mention that you need to leave your shoes and then climb the ladder to get in? And what I just realised I lost pictures from Thailand, some of them anyway. I think the ones I have will have to do. Ah by the way this is before I started to take any interest in photography so composition among others is not the best. 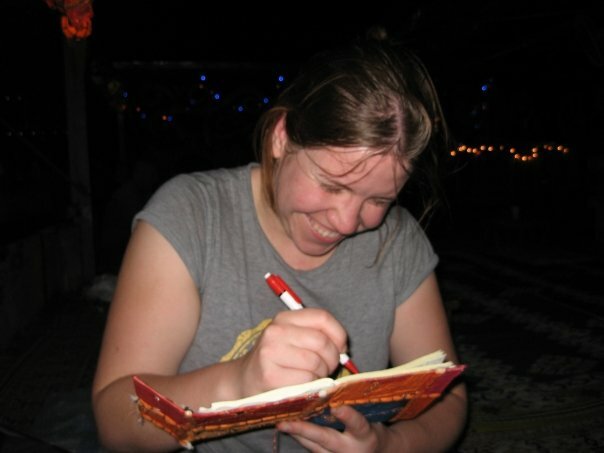 As you can see on the picture I had a note book that I filled in with notes almost every day. I can’t find it! The thing is I was moving so much from the time I was in Thailand it can be everywhere. I can’t believe I lost it. It needs to be somewhere. I will keep on looking. 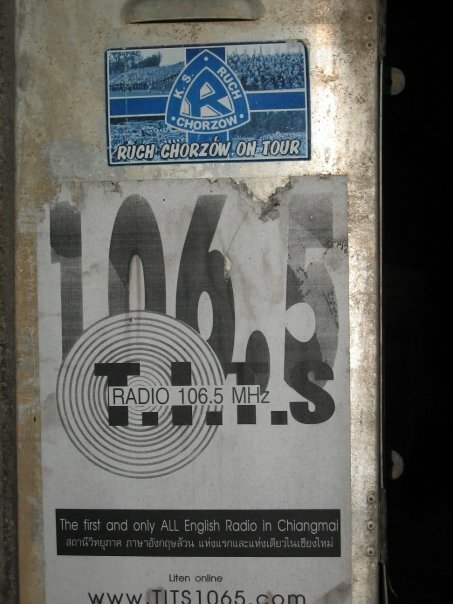 somehow didn’t have much time, we could not decide on one tour. Meaning we were given a choice: One day safari and long neck tribe/bamboo rafting tour or trekking and white-water rafting tour. Hard choice. 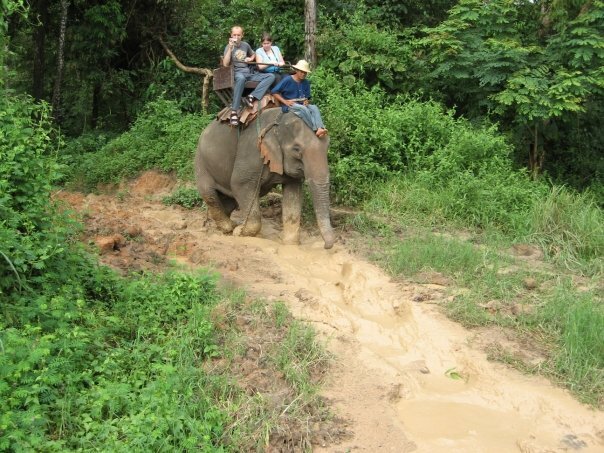 thanks to A1 Travel Info (398 Tha Phae Rd, Chiang Mai, 50300) tour agency we were able to organise it differently. 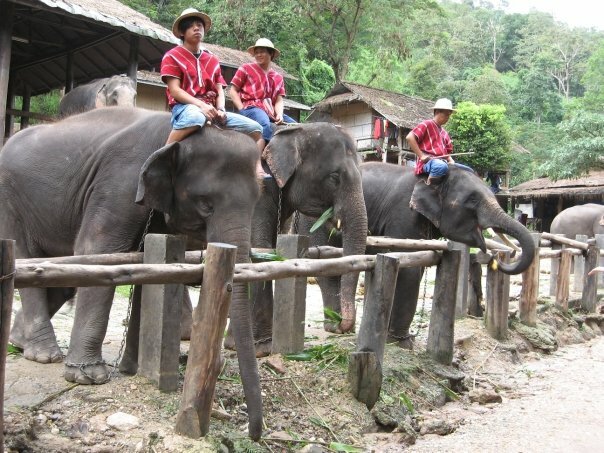 We were to go to see the elephants in the morning and then on white water rafting in the afternoon. Tight on time but as everything do-able in Thailand. We met our tuk-tuk driver in the morning as arranged. You can see his picture on the left. You may not remember or not know that in 2008 thousands of anti-government protesters in Thailand have gone to streets. They blocked airports and some of the goverment buildings, radio and TV stations. On 30 October a grenade attack was conducted, targeting guards for the anti-government camp. Read more on BBC. Back to our story. So there we were heading for elephant ride and suddenly found ourselves in anti-goverment camp. If you are not familiar with the army it looked quite dangerous. I think our driver was just checking on news from his friends or famili living in tents. Anyway it gave as an opportunity to be in the center of action. 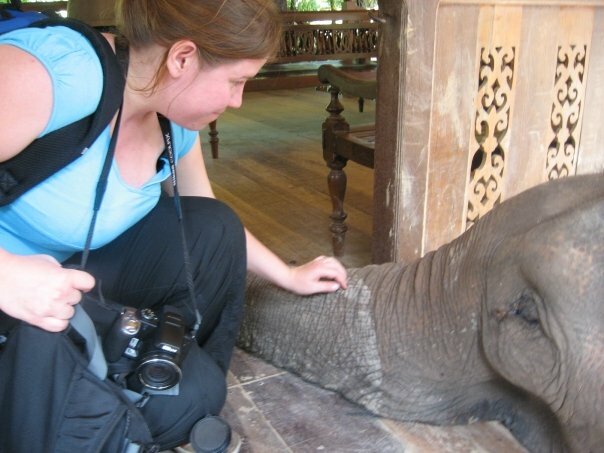 Thai elephants are playful and loveable. We fed them with bannanas and then went on a ride which ended with bathing in the river. You should see how happy they are to get into the water! A. lost his whole bench of bannanas when an elephant decided he was bored of waiting for him to tear one off. We also saw how they pat people on the head, and take their hat off and put them back on. 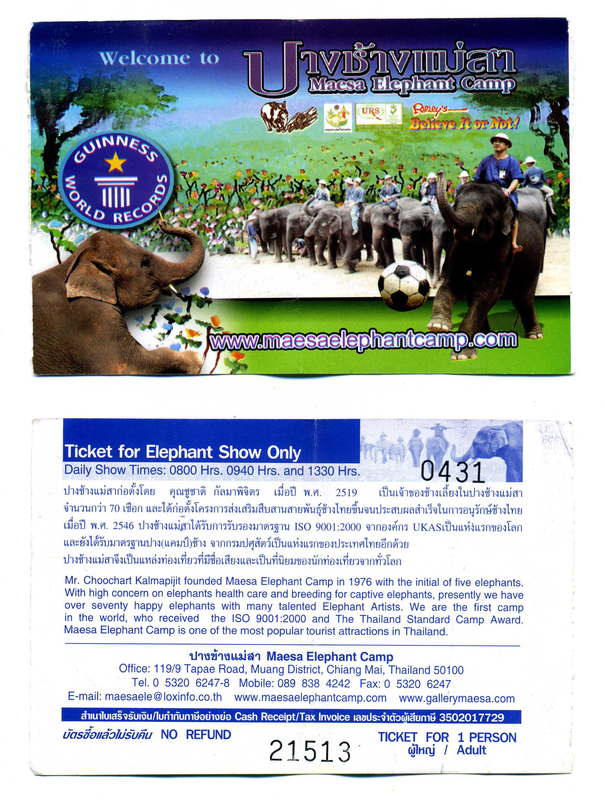 There is a football field in Maesa Elephant Camp where games on elephants are played. A. made me feel bad he said it’s animal cruelty and we shouldn’t do it. I’ll be honest I don’t know what to think about it. In the end we gave up our freedom and live in states. this means we are not running free, we have to work, earn money and be part of this big machine for the sake of feeling secure and be provided for in terms that we no longer have to hunt, make our own clothes, homes etc Elephants are not free and have to earn their living but they have shelter and food and are safe from natural enemies (like humans e.g.). So in a sense elephants don’t have a choice but do we human have it? I don’t think the animals are treated badly in this camp. “Tuk tuk broken. Don’t start” and he turned the ignition on a couple of times but nothing happened. It wouldn’t start. Finally there he was. He came to speak to our driver, then tried to start the engine… and again… and the time was running… He thought about something went to his tuk tuk and came back with a rubber tube. he connected it to both gas tanks. We were all bending over the tube to see if it’s working hahahha and then suddenly we felt the smell of the gas and looked up on our driver who was smoking cigarette while bending over with us. In a split second we all jumped away like the was some kind of a bomb there. Must have looked really funny. Well this didn’t help and so we insisted on the other driver taking us to Chiang Mai. First problem: too many of us, second problem, payment, third problem… our tuk tuk driver was drunk and the only thing that helped to get us out of there was to threaten to call the Tourist Police. It always worked when we were in trouble BTW. So the we were 6 people in a tuk-tuk on our way to Chiang Mai in this crazy world of Thai traffic. But we made it! We got back on time to catch our bus. 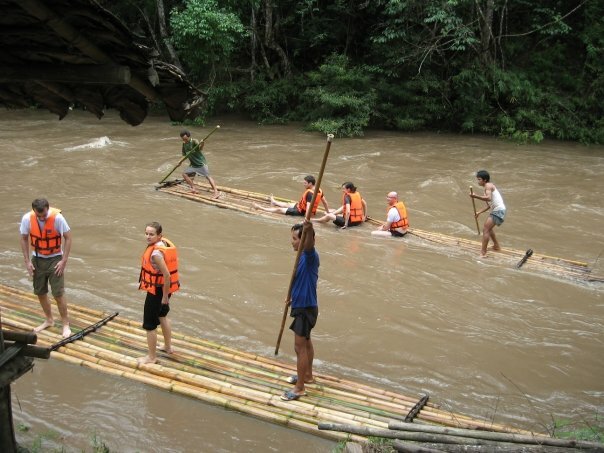 When we arrived on the river bank where the start point was we saw other people doing the bamboo rafting. It looked wet, maybe not entirely safe but well they looked more happy than scared. We had a brief trianing, got divided into two teams for each raft and wearing a helmet and life vest carried the raft to the river. It looked so much fun! 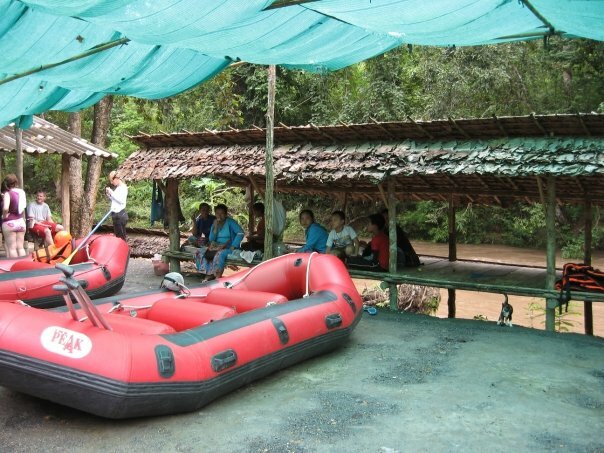 We got into the raft, the river was quite calm, some lady took a picture of us, all in smiles and then the hell began… it started raining and the rain was coming from the upper reaches of the river so suddenly there was twice as much water and it was going faster and faster. For the three of us in our raft it was first time on white water, we did not really know what to do with the paddles, we were obeying orders as well as we could. Have to say our lider was reassuring but the other one in the second boat was crazy! Actually both of them! Suddenly the other boat filped upside down and all of them ended in water. We couldn’t catch the other boat when it was floating away, neither paddles, even though M. tried really hard. We were lucky because nobody was hurt, well A. was battered but well enough to curse. When we all got back to the boats the other team was attacked by huge red ants coming down on them from the tree. So they ended back in the water. 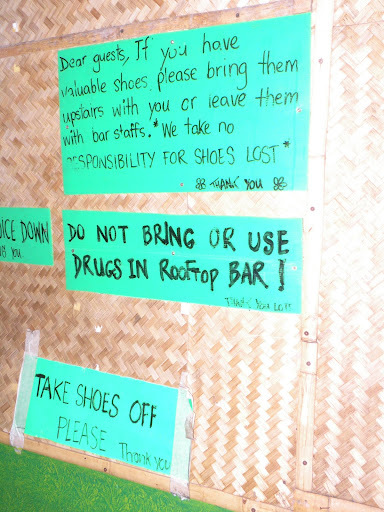 At some point our guides decided to rid the boats so we had to walk bare feet in the jungle. We got back to the boats and struggle some more with the water. For me it was just pure fun. I guess if I ended in the water not being able to make head or tail where the surface and where the bottom is I might not be saying that, but I didn’t. This is not all. You see when we reached calm waters just before waterfall the other team lider decided it will be funny to filp the raft again! we were laughing but the other people cursed. 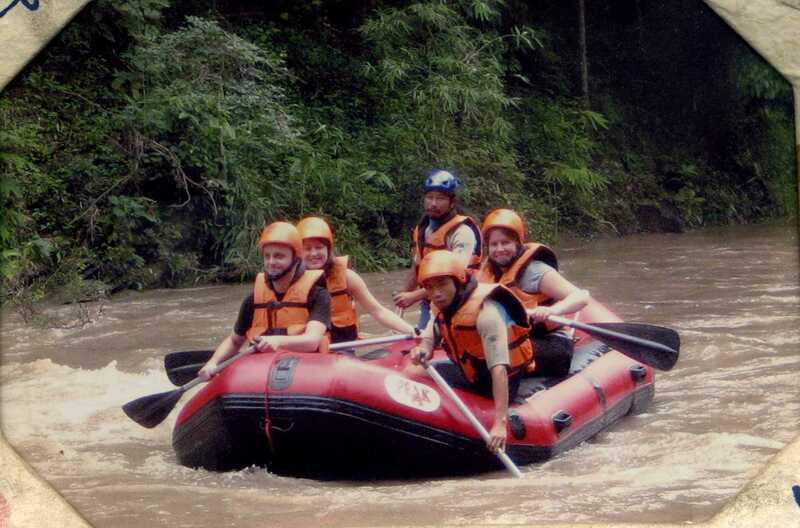 I remember Canadian girl telling us she went to all different kinds of white water but never it was so dangerous. So we reached the safe shore… and had to climb on top of two wet rafts stocked on the pickup. Did not expect that! No seat belts, everything wet and slippy and the driver thought he is taking part in some kind of race. The mountain roads were narrow and winding. Crazy nation!